Christian women who are in leadership positions in today’s workforce might struggle in today’s “valueless” society. Authors Troyer and Yoder show in REAL WOMEN: LEADING WITH PROVERBS 31 VALUES that it is possible to promote biblical values and principles. 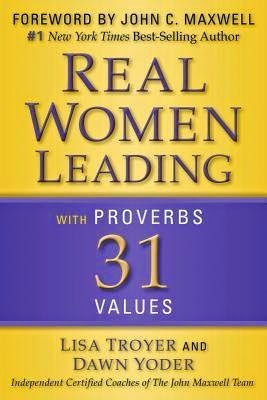 The authors share ten foundational principles in the pages of REAL WOMEN: LEADING WITH PROVERBS 31 VALUES. As women learn to develop their “gifts” and talents in the workplace as they live out the principles that invite others to embrace the biblical values. REAL WOMEN: LEADING WITH PROVERBS 31 VALUES includes stories from real women in the workforce as well as Troyer’s and Yoder’s own personal stories. Business women who are in management positions (in any field, including ministry) should consider REAL WOMEN: LEADING WITH PROVERBS 31 VALUES as part of their reading. God will surely bless those trying to live by His commands vs. the world’s. ideals. Perfect for group or individual study. $7.69 Kindle. $14.99 print. 224 print. Set in the heart of the earliest days of a new nineteenth-century sect known as the Saints, The Sister Wife is a riveting account of two women forced into a practice they don't understand, bound by their devotion to Prophet Joseph Smith. When Mary Rose marries Gabriel, neither of them could foresee how quickly the community would turn to the practice of plural marriage. Devastated when Gabe is faced with an order from the Prophet to marry her best friend, Bronwyn, Mary Rose tries to have the faith to carry through with the marriage. But can she really be married to the same man as her very best friend? Can Mary Rose and Bronwyn face betraying both their husband and their God to do what they feel is right? 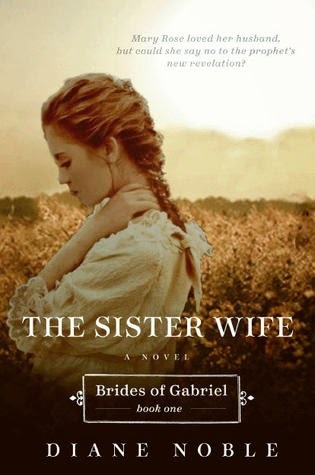 THE SISTER WIFE is the first book in the Brides of Gabriel series by Ms. Noble. I hurt for Mary Rose in the opening scenes of this book, heavy with child and watching her husband go off and marry another woman—because he was ordered to by the Prophet. Gabriel made noises about being devoted to only Mary Rose and loving her only, but to my reader’s mind, he was willing enough to take another wife and even to consummate the marriage, by basically threatening his wife with excommunication. I didn’t like that it started out the way it did, and then jumped back in time to the back story of the characters meeting, falling in love, joining the church, etc. Especially since it took most of the book to make it back to the starting point. I don’t know that much about Mormons, I don’t know if this is still practiced or not. But it hurt my heart. I could feel Mary Rose’s pain—which is a sign of good writing. Fans of Diane Noble, Mormon fiction, or historical might enjoy THE SISTER WIFE. $8.00 kindle, $5.20 paperback. 352 pages. God will meet you personally in your garden . . . and in his. Throughout the Scriptures God has revealed spiritual truth in the language of growing things. This Bible will take you into a deeper relationship with God through the contemplation of soil and soul. 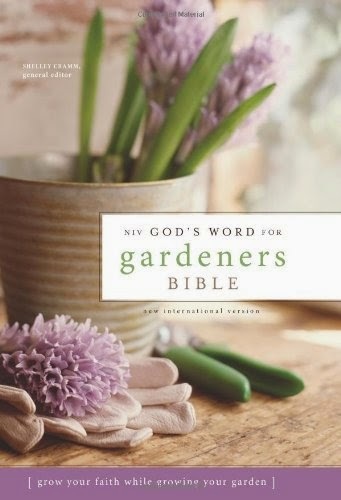 The NIV God’s Word for Gardeners Bible will inspire you to seek God in a personal way through informative essays, devotional readings and prayers that explore the nature of the gardener’s work, the rewards of gardening, the influence of seasons and weather, and the joy of the harvest. In this Bible you will also find botanical-themed pages containing horticultural information for the prominent plants noted in Scripture and landscape-themed pages highlighting the main gardens and regions in which the events in the Bible took place. Draw near to the One whose garden is planted with delight—in you! Special sections on the Garden of Eden, the garden of Gethsemane and Jesus the Vine. The NIV GOD'S WORD FOR GARDENER’S BIBLE is a good idea. It involved a lot of research for the writer/editor of this concept, in both biblical gardening and modern times. But I found it rather confusing and reading more like a research project at times. The devotions, while fitting the gardening theme, didn’t serve to increase my knowledge of scripture. The cover is beautifully done. And as a NIV Bible it is good. As a Bible/devotional/theemed reader, I found it lacking. I will keep the Bible at church for use and to give to someone who may come and not own a Bible. This would also make an awesome gift for a gardener in your life, or someone who is interested in biblical gardens. $4.99 kindle. $34.99 hardcover. 1568 pages. The story of Ruth has captivated Christian believers for centuries, not least of all because she is one of only two women with books of the Bible named after them. Now, Diana Wallis Taylor animates this cherished part of the Old Testament, with its unforgettable cast of characters. Experience Ruth's elation as a young bride—and her grief at finding herself a widow far before her time. Witness the unspeakable relief of Naomi upon hearing her daughter–in–law promise never to leave her. And celebrate with Boaz when, after years as a widower, he discovers love again, with a woman he first found gleaning in his field. 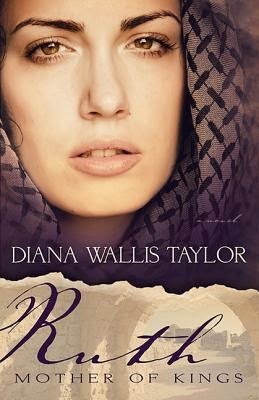 The story of this remarkable woman to whom Jesus Christ traced His lineage comes to life in the pages of this dramatic retelling. RUTH: MOTHER OF KINGS is the retelling of the story of Ruth, with all the back story, from when she was orphaned as a four-year-old girl, sent to live with grandparents she didn’t know, and then grew up and fell in love and married Mahon. It also tells the tale of Boaz being worried about losing his wife and family to illness, mourning the death of his only son, and learning how to move beyond the grief. Biblical fiction is not my favorite genre to read. I always end up wondering what is fact and what is fiction. The Ruth in this story has the prerequisite red hair that it seems that all heroines must have in fiction. Did the real Ruth have red hair? Would she be less heroic if she had black hair or brown? If you are a fan of biblical fiction then you will surely love finding out more about Ruth. $14.99. 288 pages. Grant Diamond is a professional gambler on the run from his past. When he comes across a wagon wreck, the chance to escape his pursuers is too good a gamble to pass up, and he assumes the identity of the dead wagon driver. His plan takes an unexpected turn when local heiress Lily Rose mistakes him for the missionary she had asked to come work with the Wiyot Indians. Seeing Eureka as a promising place to lay low, Grant plays along. Before he knows it, he's bluffing his way through sermons and building an Indian school. But with a Pinkerton on his trail and a rancher rousing fresh hatred against the Indians, Grant fears the new life he's built may soon crumple like a house of cards. DIAMOND IN THE ROUGH is a great co-authored book. I was thoroughly captivated by this tale of a fugitive on the run, the clumsy lady who can't manage hoop skirts without them being a lethal weapon of mass destruction, and a pinkerton agent who is on a manhunt. I couldn't help but fall in love with both Grant and the Pinkerton. Lily was charming but tended to act first and think later which made for some interesting moments. 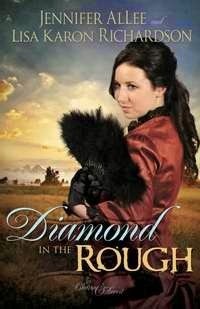 If you are looking for a fun historical with plenty of twists, turns, and laugh-out-loud moments, then DIAMOND IN THE ROUGH is the book to choose. Its the first book in the authors' Charm & Deceit series. I can't wait to read the others if they are as fun as this book. Don't miss DIAMOND IN THE ROUGH. Great book. 255 pages. $12.99. 5 stars. New Orleans may be the "Big Easy," but nothing about it was ever easy for international business etiquette expert Chloe Ledet. She moved away years ago, leaving her parents and their famous French Quarter restaurant behind. But when she hears that her father has been shot, she races home to be by his side and to handle his affairs--only to learn a long-hidden secret that changes everything she knew to be true about herself and her family. Following up on her bestselling Gothic thriller, Whispers of the Bayou, and Amish romantic suspense, Shadows of Lancaster County, Mindy Starns Clark offers another exciting standalone novel, one full of Cajun mystery, hidden dangers, and the glow of God's unending grace. UNDER THE CAJUN MOON is one of Ms. Clarks’ older novels, but it easily stands alone. I have read most of Ms. Clarks’ books, even her co-written ones, and like them, so wanted to read some of the back-list ones I’ve missed. 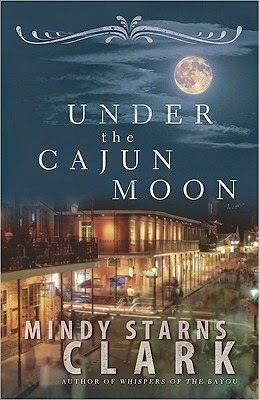 UNDER THE CAJUN MOON starts slow, but by the middle I was thoroughly engrossed. At first I couldn’t figure out why a story set in the 1700s was included in a modern day one, but then it became clear that the mystery was set around a historical event—which explains the how… but not the why or who. Mystery fans will be enthralled by this story of intrique and murder. Don’t miss UNDER THE CAJUN MOON. $13.99. 336 pages. 4.5 stars. Can she forgive the man who left her at the altar? Alyssa Pennington dated Brendan Myers for three years before she accepted his proposal. For almost a year, Alyssa's friends and family helped her plan a lovely wedding to take place in the church she'd grown up in. It was the happiest day of her life when she walked down the aisle to be united with the man of her dreams. But when Brendan left her at the altar, Alyssa was consumed by humiliation, embarrassment, and a broken heart that wouldn't allow her to trust anyone. Especially Brendan. Brendan Myers knows he will spend the rest of his life regretting what he did to Alyssa, the only woman he's ever loved. Without her, his life is empty. In one fateful moment, he'd panicked, destroyed their future, and ruined everything. Now he plans to win her back. But winning back his bride might prove much more difficult than he can imagine. And even if he does get her to the altar again, will she think turnabout is fair play? A JULY BRIDE is the eighth book in the Year of Weddings series. It was a quick read, and without having read the blurb above before I read the novella I had no idea whether Alyssa would choose Brendan or Dalton. I’m not sure how I feel about this book. I liked some of it and didn’t like some of it. Ms. Wiseman is a hit and miss author for me. I have loved some of her books. I have not loved some. This one falls into the miss category, I think. I didn’t grow to care for any of the characters. I didn’t care whether she chose Brendan or Dalton. I did like the way both men wanted to take care of her during a Texan ice storm. I liked the way Brendan listened when he was told he was trying to hard to win Alyssa back. I love the cover of this novella. 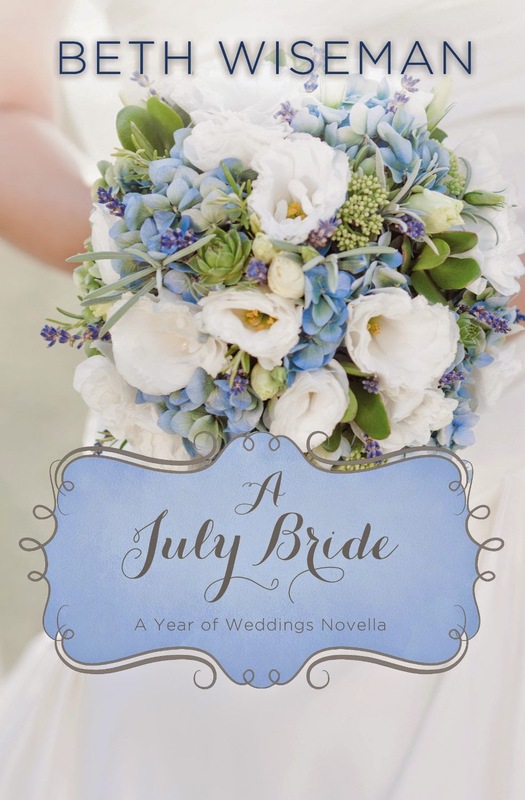 If you like Ms. Wiseman’s contemporaries, you might like A JULY BRIDE. $3.79. My name is Lucretia Virginia Ryan, and if you think it's easy to go through life with a name like that, then you probably think doing a no-handed cartwheel is easy. At least I have a nickname that suits me: Ginger. Ten-year-old Ginger Ryan is dreading starting fourth grade. She and her best friend, Melody, have been split up for the first time since kindergarten, and Ginger has the meanest teacher in school, Ms. Lindell. Just when she thinks things couldn't get any worse, they do. The new kid in school shares the same last name as Ginger, so he sits right next to her. Typically, he turns out to be the class bully. Todd Ryan makes it his goal in life to make Ginger's life a living nightmare. As if that's not bad enough, Ginger is also dealing with a pesky older brother and a best friend who has turned into a snob. Fourth grade is supposed to be fun. So how could things go so horribly wrong? Ginger tries everything from ignoring Todd to purposefully throwing up on him, but Todd is relentless. 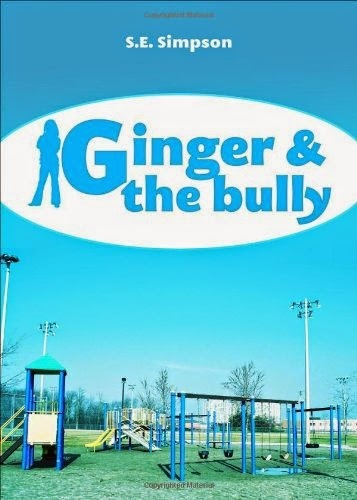 Will Ginger and the Bully survive the fourth grade? GINGER AND THE BULLY is a really sweet story about a ten-year-girl in the fourth grade. Ginger struggles to deal with the mean boy sitting next to her and is afraid to stand up for herself. She makes a new friend who encourages her. I loved watching Ginger grow and become more self-confident through the course of the book. I highly recommend this book for early readers. Even older kids. My teenage daughter read it in a day and said it was a great book. My twelve-year-old is taking it to camp to read during quiet time. The chapters are short, and the story is fantastic. 5 stars. 104 pages. $8.99. 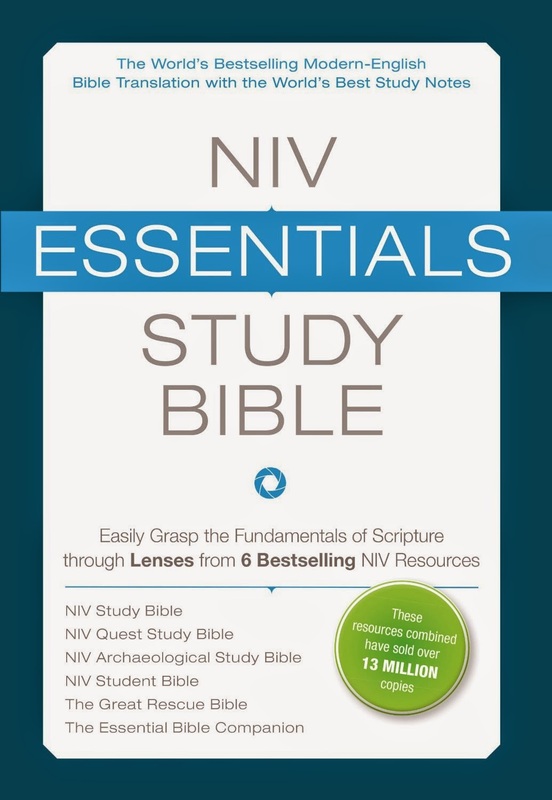 The NIV Essentials Study Bible helps you quickly and easily understand, interpret, and apply God’s Word to your life. The variety of features in this Bible presents a multifaceted, exciting format for studying Scripture. There are many different ways to explore God’s Word: question-and-answer studies; detailed in-text study notes; timelines, photos and charts; helpful devotional insights; and profiles of Bible characters. Now you don’t have to choose, because the NIV Essentials Study Bible provides you the chance to explore the Bible using all these study methods and more. With each of these lenses included in one Bible, you will discover how to best understand the essentials of Scripture. * Flyover Lens: Start each book of the Bible with the right perspective from easy-to-read introductions from the popular Essential Bible Companion. * Unpack Lens: Easily understand and interpret Bible passages with bottom-of-the page study notes and in-text charts from the best-in-class NIV Study Bible. * Dig Deep, Look Close Lens: Understand the fascinating historical significance of the Bible with articles and photos from the bestselling NIV Archaeological Study Bible. * Q and A Lens: Get concise, easy-to-grasp answers to your most perplexing questions about the Bible with questions and answers from the beloved NIV Quest Study Bible. * People Lens: View Scripture from the perspective of the 100 most important people in the Bible with notes for the student of any age excerpted from the timeless NIV Student Bible. * Guided Tour Lens: Get a bird’s eyes view of Scripture with a Guided Tour, also excerpted from the category-leading NIV Student Bible. * Insight Lens: Find meaning in the Bible by reading these magazine-style call-outs from the NIV Student Bible. * R and R Lens: Reflect and Respond with this quick inspirational focus time, which unveils the sweeping narrative of the Bible as seen in the award-winning The Great Rescue, NIV. When I was offered the NIV ESSENTIALS STUDY BIBLE to review, I jumped at the chance. My oldest son is considering going into the ministry, and he asked for a good study Bible so I wanted to see what this one is like. This one appears similar to every other NIV study Bible on the market and has pretty standard layout, with maps in the back. I did like the archaeology information that are scattered through out, but mostly, some of the lenses are distracting. Sometimes there are so many lenses, over such a short period of time, it feels overwhelming. There is a wealth of information, but not all of it is helpful or of the same quality. Strengths - it's very well layed out; it uses the NIV which is a "dynamic thought-for-thought equivalent" version; i.e. it's modern-day language communicating the intended thoughts of the scripture passage. It takes into account the poetic passages, and marks them out as such; the Psalms, for instance - the first line is regularly printed, the second line that corresponds to it is slightly indented, showing a faithfulness to Hebrew Poetry. It's got a ton of references, explanations, and insights for application. The negative - There is no room for the reader to interact with the scriptures; he's basically told what the passage is intended to communicate. In other words, there is no room for the Holy Spirit to freely work on the passage. For a beginner, this could be a good thing. I would recommend you going to an actual brick and mortar store, and doing an in person comparison with the different ones out there before you decide for yourself. $35.63 hardcover. $33.85 kindle. 1763 pages. Oh, no! Rose is back! 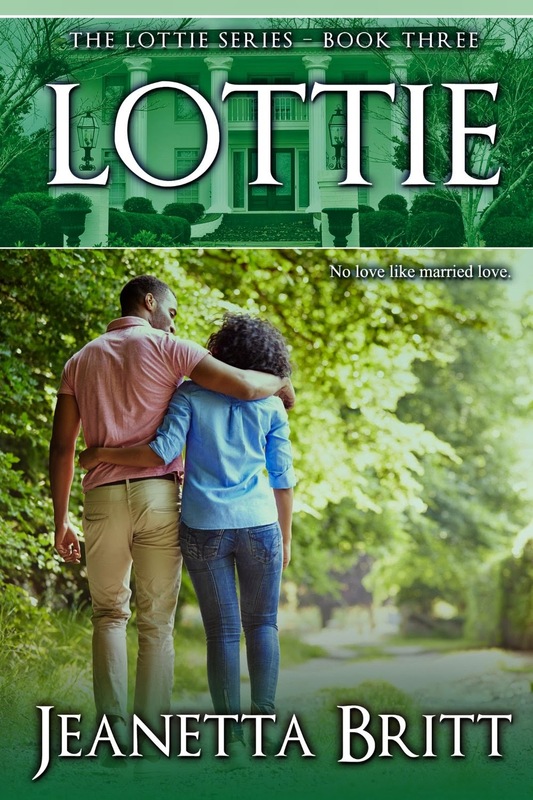 If Lottie isn’t having enough trouble being a newlywed and taking on her duties as the first female African American Senator in her native state of Alabama, her sister Rose is trying to make the moves on her husband, Chaney. Rose has had a crush on Chaney since high school, and it looks like she’s not done yet. And in spite of her love for her community and her political pursuits, Lottie has to learn to open her heart and fight for her family. Family, however, is not always what it seems—family is the people who love us. About the book: Penny Wiseintroduces us to yet another family in "the neighborhood"---the Jaspers, busy with demanding jobs, busy with church, busy volunteering, parents of three active teenagers, juggling sometimes crazy schedules. All good things. Until all those "good things" feed into a series of crises that affects the whole family. Something's gotta change! My thoughts: PENNY WISE might be the third book in the Windy City Neighbors series, but it easily stands alone. I have the first two books in the series but didn't have time to read them before this one and I wasn't lost at all. It also uses some characters from previous books in the books the Jacksons wrote. PENNY WISE wasn't as engaging as the others I read. I didn't fall in love with Michelle, the main character, like I did with some of the characters in the other series. I did feel bad for her with her busy life, busy family, concerns about the sad situations she worked with and with her own children entering the dangerous teenage years... I wasn't surprised by one event, and some of the things brought tears to my eyes. I loved the penny theme. Fantastic message on God's provisions and care. If you loved the Yada Yada Prayer Group or any of Neta Jackson or Dave and Neta Jackson's other books theen you won't want to miss PENNY WISE. I give it 4 stars, since it is well-written with a great message. I just didn't fall in love with the characters. Cate Kinkaid arrives at H & B Vintage Auto Restorations to give a friend a ride. But, as usual, trouble finds Cate even there--this time in the form of one dead man, one wounded man, and what appears to be a pretty obvious case of self-defense. 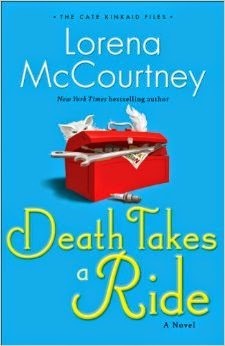 DEATH TAKES A RIDE is book three in Ms. McCourtney's The Cate Kincaid Series. It easily stands alone, but readers will want to read the first two, Dying to Read and Dolled Up to Die to find out how Cate got into investigation and the story of the cat. I have mixed feelings about DEATH TAKES A RIDE. I didn't find it as engaging as the first two books in the series and it didn't hold my interest as well. I also figured out "who-dun-it" early on in the book, so the only real reason to keep reading was to find out why and that seemed obvious. I did like the unexpected investigation skills of the dog that ends up in Cate's life. That was fun. I will keep reading Ms. McCourtney's books since I loved all her previous ones, but this one didn't quite cut it for me. It may be one you love though. It was good, just not great. 4 stars. $14.99. 336 pages. 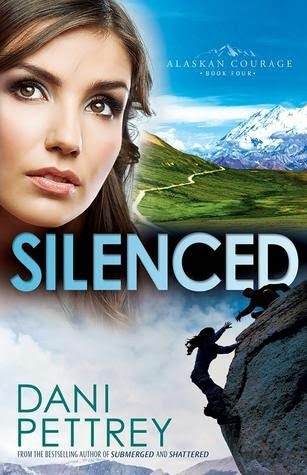 SILENCED is the fourth book in Ms. Pettrey’s Alaskan Courage series, but it easily stands alone. Fans will want to read the first four books to get the romances/suspenses in the first books Submerged, Shattered, and Stranded. I thoroughly enjoy Ms. Pettrey’s writing. She had me hooked from the first page and while I had part of the story figured out in advance, she kept the reader guessing from multiple twists. I never guessed who did it for the original crime they were investigating. I won’t say more because I don’t want to give away a spoiler, but there are two different crimes solved in this book. I am looking forward to the fifth book in this series, Kirra and Reed’s story, if I guess right. This is a series not to be missed if you like romantic suspense. $14.99. 336 pages. I'm a novelist who occasionally turns my research into a nonfiction book for my readers. I have a special passion for history, with a love of women's history and biblical stories. Since then, I have written novels about women in history that have forever touched our modern lives: Ane Boleyn, who fought to give us the right to read(Shadow of Lions), Queen Esther of Persia (Chosen: The Lost Diaries of Queen Esther), and the women who survived the terror of the Black Death (In the Arms of Immortals) plus the fascinating and powerful ancient beauty secrets of biblical lands (Beauty Secrets of the Bible). My hope is that when you turn the last page of one of my books, you feel strengthened for the journey ahead and that I have found more than a reader: I hope I've found a friend. & resources about the Heroines Behind the Lines series, visit heroinesbehindthelines.com. Twenty-four hundred residents inhabited the borough of Gettysburg in 1863 when 163,000 men and 15,000 animals converged upon it for the three-day battle in July. Some fled to protect themselves and their property, while many--most of them women and children--were caught in the crossfire. Surviving the battle was only the beginning. 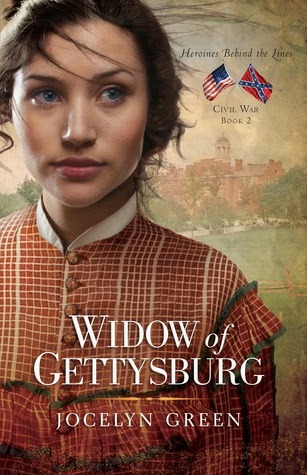 While most history books follow the armies on their journeys away from Gettysburg when the battle receded, Widow of Gettysburg keeps the focus on the aftermath being played out in the town. When the armies withdrew, 21,000 wounded were left in their wake, with only 106 Union medical officers and far fewer Confederate doctors. Women and children were drafted into hospital service, whether they felt confident in their ability or not. Days after the battle's end, thousands more invaded the already overtaxed town in the form of relief workers, sightseers, and those looking for their loved ones. The quiet life they had known was gone. Women of Gettysburg did not ask for the distinction, but many became heroines behind the lines just the same. Widow of Gettysburg is the story of their resilience. In the words of Gettysburg housewife Sarah Broadhead, "We do not know until tried what we are capable of." Award-winning author Jocelyn Green inspires faith and courage in her readers through both fiction and nonfiction. A former military wife herself, she offers encouragement and hope to military wives worldwide through her Faith Deployed ministry. Her novels, inspired by real heroines on America's home front, are marked by their historical integrity and gritty inspiration. 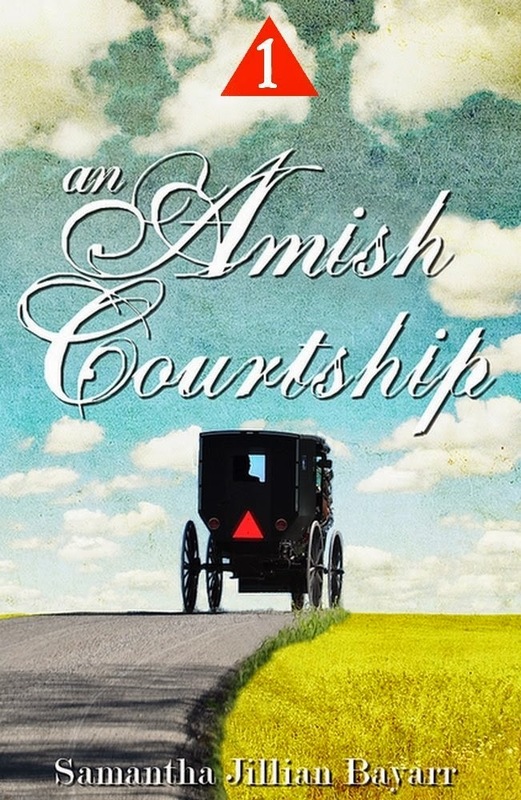 THE AMISH COURTSHIP is the first book I’ve ever read by Ms. Bayarr. Grace is visiting her cousin who is getting married to Samuel’s brother. Grace keeps thinking about how she and her cousin Leah have grown apart over the years. And she asks Samuel if he is married, even though she is Amish and should know that the lack of beard means he’s not. THE AMISH COURTSHIP isn’t badly written. There are some point of view slips, but not bad. It was interesting and held my attention for all fifty pages. Unless I’m mistaken, there are four episodes in this collection at 99 cents each. Not a bad deal, at $4.00 for a two hundred page book altogether. Fans of Amish romance will love this. I will likely read more by this author. I downloaded this book free. Normal price is 99 cents. She had to find her way to him…but first she had to find her way to God. Adah Knepp wants nothing more than to make music. It’s all she’s ever desired—to sing and play the guitar and write her own songs. That’s a dream that will never come true in the confines of her strict Amish community. But then she meets Jackson Hart, and suddenly she sees the chance for a different kind of life…a real stage, a real guitar, and a real opportunity to sing her songs to a real audience! But pursuing her dreams means turning her back on her faith, her family, and her community—and saying goodbye to Matthew, the gentle Amish farmer she can’t get out of her mind. Is it worth giving up the only home she’s ever known to pursue her dreams? 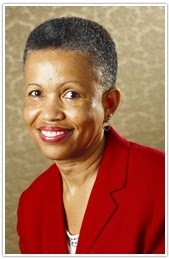 Kelly Irvin is a Kansas native and has been writing professionally for 30 years. She and her husband, Tim, make their home in Texas. They have two children, three cats, and a tankful of fish. A public relations professional, Kelly is also the author of two romantic suspense novels and writes short stories in her spare time. 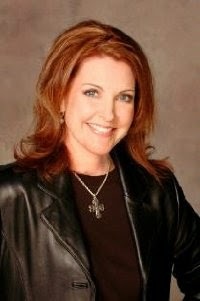 To learn more about her work, visit www.kellyirvin.com. 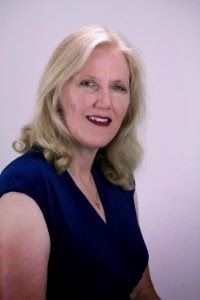 Kelly Irvin is the author of the Bliss Creek Amish series and the New Hope Amish series, both from Harvest Housing Publishing. 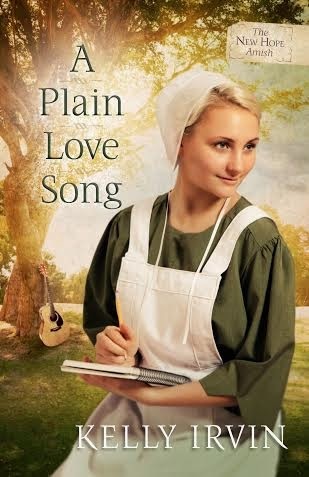 Her latest release is A Plain Love Song, set in Amish country in Missouri, which will debut July 1. It is the final installment in the series, which also included Love Redeemed and Love Still Stands. She is currently working on The Beekeeper’s Son, the first book in the Amish of Bee County series, for Zondervan. She has also penned two inspirational romantic suspense novels, A Deadly Wilderness and No Child of Mine. The Kansas native is a graduate of the University of Kansas School of Journalism. She has been writing nonfiction professionally for thirty years, including ten years as a newspaper reporter, mostly in Texas-Mexico border towns. She has worked in public relations for the City of San Antonio for twenty years. She is a member of American Christian Fiction Writers (ACFW) and serves as secretary of the local chapter, Alamo Christian Fiction Writers. When Riley Morgan returns home after fighting in the War Between the States, he is excited to see his parents and fiancée again. But he soon learns that his parents are dead and the woman he loved is married. He takes a job at the Wilcox School for the blind just to get by. He keeps his heart closed off but a pretty blind woman, Annie, threatens to steal it. When a greedy man tries to close the school, Riley and Annie band together to fight him and fall in love. But when Riley learns the truth about Annie, he packs and prepares to leave the school that has become his home and the woman who has melted his heart. Will he change his mind and find the love he craves? Or will stubbornness deprive him from the woman he needs? Through painful circumstances, Riley and Annie learn that the loving and sovereign hand of God cannot be thwarted. 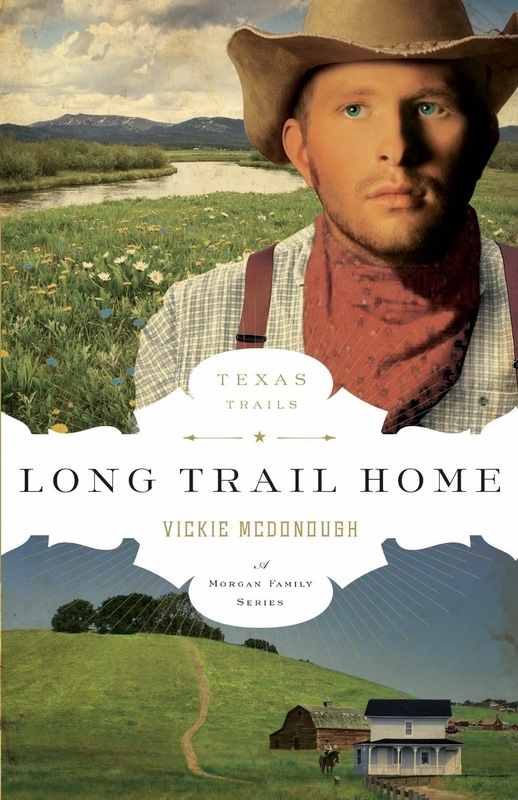 LONG TRAIL HOME is the third book in the Texas Trails - A Morgan Family series (written by three different authors), but it easily stands alone. In fact, I read the series completely out of order, and it didn't seem to make a difference. I felt really sorry for Riley, going through the horrors of the war, and then coming home to discover his whole family is dead and his future destroyed. I also felt for Annie who believed she had to lie in order to live at the school of the blind and deceive people. I wished she'd tell Riley the truth early on... I don't like it when relationships are based on a lie. The black moment felt rather contrived to me, but it worked out pretty much the way I figured it would early on, so in that way it was predictable. In another way, there was an unexpected twist at the end that worked it out even better than my initial predictions. If you like historical fiction, you won't want to miss LONG TRAIL HOME or any of the other books in this series: A Rangers Trail, Captive Trail, Cowgirl Trail, Lone Star Trail, and End of the Trail (not necessarily written in the right order.) $14.99. 272 pages. I have to say, I love Jay. I'm not sure if this is the conclusion to this series or not, but fans will want to read Angel Sister and Small Town Girl first as this series doesn't stand alone. The story was a bit rambly feeling and disjointed at times, but as the author was going through a rough time (as stated in the author letter at the back) it is understandable. 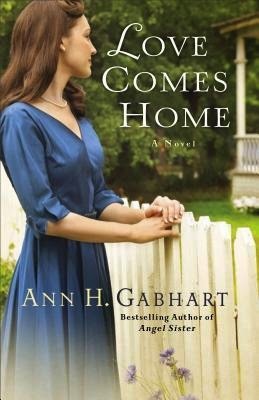 Fans of Sarah Sundin, Tricia Goyer, and other WWII authors will love Ms. Gabhart's book. Don't miss LOVE COMES HOME. $14.99. 377 pages. A recipe is included at the end of the book. "God told Jonah to obey, said, 'Go to Ninevah this day.' But, stubborn Jonah fled instead. Didn't do just what God said." Jonah's disobedience landed him inside a big fish! And there he had time to think and pray. Children will feel the waves and hear the splash as Jonah sinks "down and down and down" into the belly of the fish. This story serves as an excellent reminder of how important it is to listen to God. 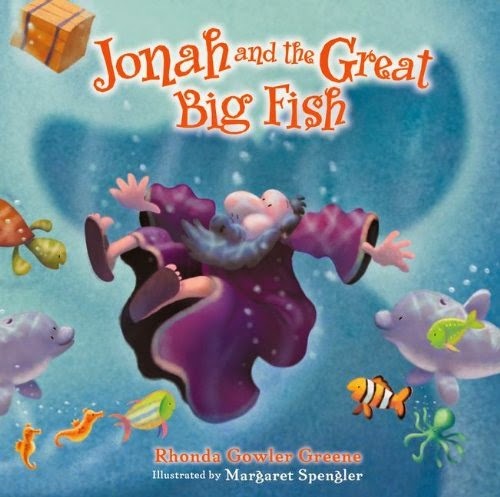 JONAH AND THE GREAT BIG FISH is a totally cute illustrated Bible story for the preschooler and young reader in your life. Written in rhyme, with fun sized letters and font to illustrate the point, it clearly shows the story how wet and scared the sailors were, how frightened Jonah must've been as he was swallowed by the whale, and what he did while in the whale's stomach. Parents and Grandparents and other caregivers will want to pick up a copy of JONAH AND THE GREAT BIG FISH. Also perfect for church nurseries, preschools, and libraries. Recommended. 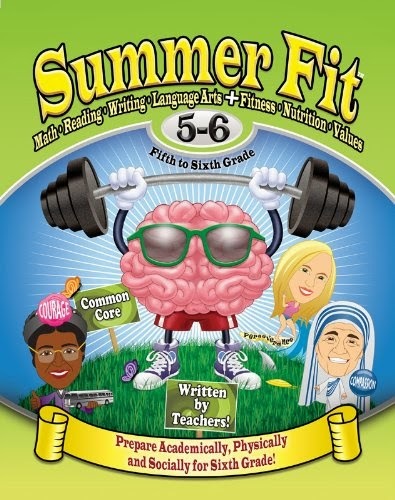 Ages 4 - 8. $9.99 hard cover. 32 pages. 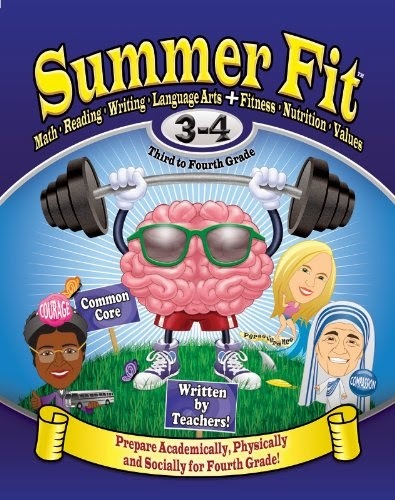 GIVEAWAY:If you want to enter the giveaway please “LIKE” the Summer Fit Facebook page, Twitter, and comment on this post. 5 and 6 and 3 and 4 for review purposes. I really like this program as it helps the child renew math and English skills, both in usage and reading and comprehensive skills. It also helps promote fitness by giving daily exercise suggestions. The work time isn't long as the homework is only a page (front and back) daily, and then they get to color in a star for each category as they complete it. If you are looking for something to help your child prepare for school starting again to renew their skills, or if they are bored and want to "play school." My daughters enjoy these books as it broke up the "I have nothing to do" times somewhat. Recommended. Available for most age groups. Luke, a Greek physician, Christian, and companion of the Apostle Paul, compiled the first 2-volume history of the Christian church. We know them, respectively, as The Gospel Of Luke and The Book Of Acts. You can find them in the New Testament portion of the Bible. These books were each addressed to an enigmatic personage, Theophilus. Whether Theophilus was an historical figure, or whether this was a play on words (Theophilus literally means, “Lover of God”) is still being debated. 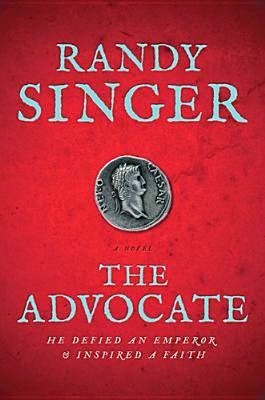 Acclaimed author Randy Singer has taken the character of Theophilus and crafted an excellent book that centers around this young man’s training and subsequent career as a lawyer in the courts of Rome during the time of Christ. As assessore for Pontius Pilate, Theophilus has a ring-side seat as the greatest story ever told unfolds before his very eyes. He is the one who suggested that Pilate offer the release of Barabbas, certain that the crowd would release the innocent man, Jesus, instead. The plan backfired, and Theophilus would forever live with the thought that he was instrumental in the death of an innocent man. Many years, and two Caesars later, Theophilus is once again tasked with the defense of an innocent man, the Apostle Paul. However, with age comes wisdom, and this time Theophilus can no longer be a disinterested bystander. It’s not just Paul’s life that hangs in the balance. Rich with historical and cultural detail, and passionate with the mental, emotional, and philosophical forces of the day, THE ADVOCATE is a book that will help you understand the context of Christianity, and cause you to re-examine your own beliefs concerning the Jesus of history. Reviewer’s disclaimer: Randy Singer pulls no punches. There are scenes that may be considered too graphic for the younger reader. Leave a comment to be entered to possibly win all four books in this series. Matica still lives in the small village of Pucara with her brother, mom and dad, who is recovering from his near-death experience. Her 11th birthday is coming up and the things she is about to encounter proves she is very brave. Events take a sudden turn when she is invited to see Elcano, the very old and frail father of the village elder Pajaro. Not once, but three times he summons her. She is afraid of him but he fascinates her. He calls her 'his daughter' Why? The amazing things he is about to tell her could be life-changing, things she had never thought about. Will Matica be able to cope with these life-changing disclosures? In the midst of all this, the poachers are back, looking for eggs and birds - and Talon. TALON, CONNECTED is far more than a kids' story. It is a story about growing up, friendship, and the challenge of moral choices and respect. 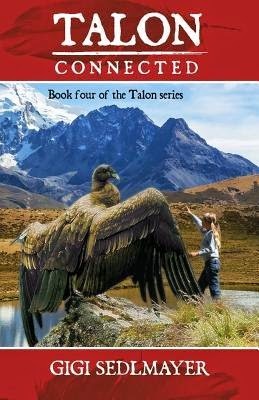 Ride along during the ongoing adventures of Matica and her best friends, the condors Talon, Tamo and Tima, characters many readers already know and have learned to love. TALON, CONNECTED is the fourth book of the epic adventure series TALON. TALON, CONNECTED is the fourth book in this on-going series. As the book begins, Matica and her father are recovering from their ordeal in the last book. Her dad's leg is beginning to heal and Matica is recovering from exhaustion. The condors visit with almost human-like characteristics. And just as you think you have the story figured out, the poachers return, and a village elder whom was assumed "departed" at the beginning of the book starts summoning Matica. Why? What does he want? You have to read the book to find out. Fans will want to read these books in order as one in a continuation of the rest. Ms. Sedlmayer is currently writing book five in the series - might make a good collection to buy for a gift for a reader. $17.06 paperback. $4.95 Kindle. 362 pages.